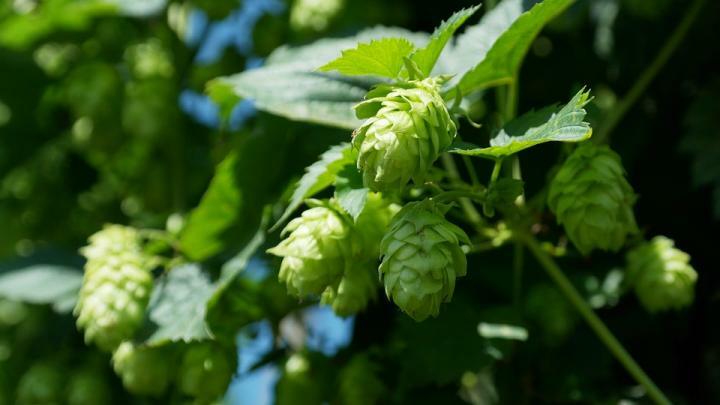 CORVALLIS, Ore. – Researchers at Oregon State University have made a fundamental advance in understanding xanthohumol – a compound found in hops that's of significant interest to prevent or treat the lipid and metabolic disorders that are a primary killer of people in the developed world. The scientists identified for the first time more precisely how xanthohumol works, and why it may have such significant promise in addressing the high cholesterol, blood sugar, obesity and other issues that are collectively referred to as "metabolic syndrome." The findings were recently published in BBA – Proteins and Proteomics, a professional journal, by researchers from several OSU departments and the Linus Pauling Institute. The work was supported in part by the National Institutes of Health. More than 25 percent of the adults in the United States meet the criteria for metabolic syndrome, putting them at significantly increased risk for cardiovascular disease and type-2 diabetes. That syndrome is defined by diagnosis of three or more of several conditions, including abdominal obesity, elevated lipids, high blood pressure, pro-inflammatory state, a pro-thrombotic state and insulin resistance or impaired glucose tolerance. The new research was based on mass spectrometry in combination with a chemical labeling technique. In it, the scientists concluded that several "prenylflavonoids," particularly xanthohumol, clearly are a ligand, or have a binding mechanism that promotes the activity of the Farnesoid X Receptor, or FXR. FXR, in turn, is a master regulator of lipid and glucose metabolism – in simpler terms, the body's processing of fats and sugar. "There's already interest in targeting FXR as a possible approach to a therapy for fatty liver disease, type2 diabetes and obesity," said Claudia Maier, a professor of chemistry in the OSU College of Agricultural Sciences. "With this work we've identified a unique binding mechanism and chemical structure that could make that possible. This is really very interesting, and very promising." This new understanding of the FXR receptor at the molecular level, researchers said, could, in theory, facilitate the use of compounds that take advantage of it – such as xanthohumol – or development of other compounds with a similar chemical structure that work even better. "We now see how these prenylflavonoids are working, and with modification through computational approaches it might be possible to even improve upon that," said Liping Yang, the lead author on the new study and faculty research assistant in the OSU Department of Chemistry. "The end result might be either supplements or a prescription drug, with the potential to address metabolic syndrome, non-alcoholic liver disease, diabetes and other metabolic disorders." The FXR receptor, the scientists said, is a part of normal lipid and glucose metabolism, working in collaboration with appropriate diet, weight, exercise and other healthy activities. However, its function can be eroded by intake of too much fat and sugar. Restoring that function, by contrast, may help address metabolic problems. In previous research, published earlier this year by OSU scientists Cristobal Miranda and Fred Stevens, scientists studied laboratory animals that were on a high-fat diet. When they were given a high dosage of xanthohumol, it reduced their LDL, or "bad" cholesterol by 80 percent; their insulin level by 42 percent; and their level of IL-6, a biomarker of inflammation, by 78 percent. Weight gain was also constrained, compared to animals not given xanthohumol. The levels of xanthohumol used in the research far exceeded any amount that could be obtained by normal dietary intake, but could be easily obtained through supplements. In that study, researchers pointed out that direct health care costs arising from obesity or related disorders account for up to 10 percent of U.S. health care expenditures.